Ding-Dong, Ding-Dong! 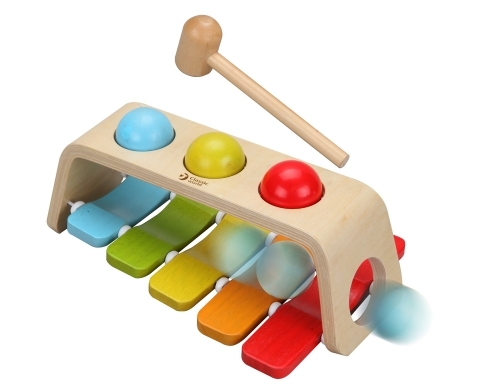 This 2 in 1 toys helps nurture hand eye coordination while the child and you have fun making music. 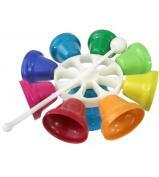 Simply put the ball in the hole, tap it in and listen to the chime. 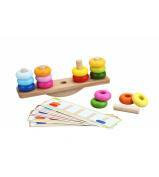 Then flip it over and just use the hammer directly on the wood to make the music!